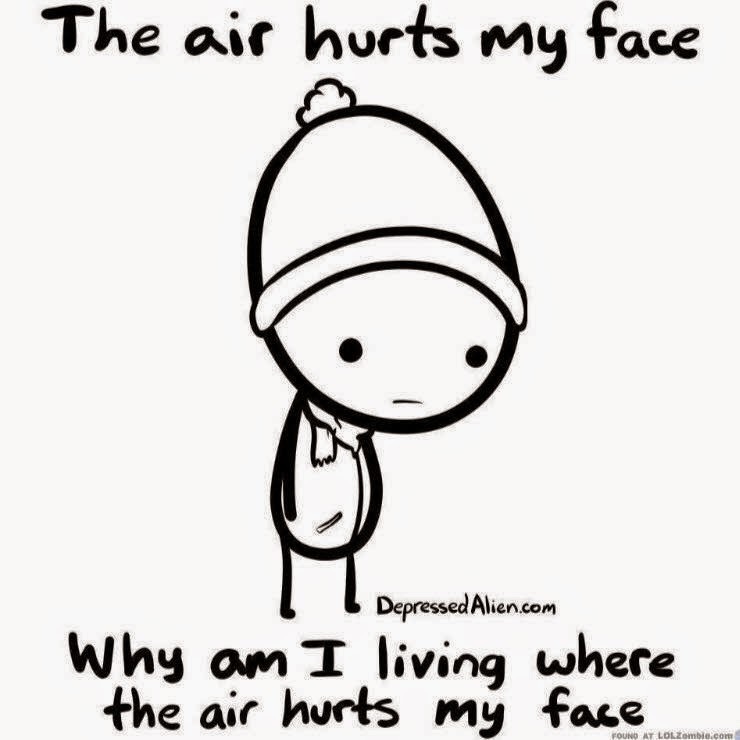 It has been cold here lately and this picture sums up my feelings over the past few days, so I thought I would share. We've been dropping in and out of the single digits (Fahrenheit) ... BRRRRRR!!! Stay warm! Ya, I know what you mean. Too cold to go for a walk even!